The content of the site and the interpretation of data are solely the personal views of the contributors. Shilpa Stock Broker Pvt. Ltd. reserves the right to make modifications and alterations to the content of the website. Users are advised to use the data for the purpose of information only and rely on their own judgment while making investment decisions. The investments discussed or recommended may not be suitable for all investors. Shilpa Stock Broker Pvt. Ltd. does not warranty the timeliness, accuracy or quality of the electronic content. The content of the website cannot be copied, reproduced, republished, uploaded, posted, transmitted or distributed for any non-personal use without obtaining prior permission from Shilpa Stock Broker Pvt. Ltd. We reserve the right to terminate the accounts of subscribers / customers, who violate the proprietary rights, in addition to necessary legal action. Shilpa Stock Broker Pvt. Ltd. and its owners / affiliates are not liable for damages caused by any performance, failure of performance, error, omission, interruption, deletion, defect, delay in transmission or operations, computer virus, communications line failure, and unauthorized access to the personal accounts. Shilpa Stock Broker Pvt. Ltd. is not responsible for any technical failure or malfunctioning of the software or delays of any kind. We are also not responsible for non-receipt of registration details or e-mails. Users shall bear all responsibility of keeping the password secure. Shilpa Stock Broker Pvt. Ltd. is not responsible for the loss or misuse of the password. Shilpa Stock Broker Pvt. Ltd. is not responsible for the content of any of the linked sites. By providing access to other web-sites, Shilpa Stock Broker Pvt. Ltd. is neither recommending nor endorsing the content available in the linked websites. The information gathered from your profile will be used to enhance your experience on the website. We will not rent or sell the profile to any third party. In case of a contest or a promotion scheme, we reserve the right to share the users profile with the sponsors. In the event of necessary credit checks and collection of payments, Shilpa Stock Broker Pvt. Ltd. can disclose such information to other authorities in good faith. Shilpa Stock Broker Pvt. Ltd. will use all or any part of the service and change terms without any obligation. The stock exchange, Mumbai is not in any manner answerable, responsible or liable to any person pr persons for any acts of omissions or commission, errors, mistakes and/or partners, agents, associates etc., of any of the Rules, regulations, bye-laws of the Stock Exchange Mumbai, SEBI Act or any other laws in force from time to time. The Stock Exchange, Mumbai is not answerable, responsible or liable for any information on this website or for any services rendered by us, our employees and our servants. 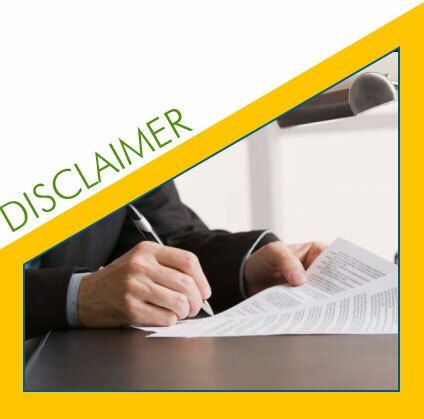 This website is for the exclusive purpose of transactions to be carried out within the territorial jurisdiction of India and all such transactions shall be governed by the laws in India. Notice is hereby given that Non Resident Indians (NRI's) and Foreign Nationals accessing this web site and opting to transact there on, shall do so after due verification at their end of their eligibility to do so. Shilpa Stock Broker Pvt. Ltd. undertakes no responsibility for such pre-eligibility of qualification on part of Non-Resident Indians (NRI's) or Foreign Nationals to transact on this website. TIPS ON SMS is a service given only to members with the sole intention to aid their information means. Shilpa stock broker pvt. Ltd.(SSBPL) does not guarantee any accuracy of generation, databases, delivery timings etc. while giving this facility. Depending on your location, service provider, medium of communication and delivery, the service may be at times slow or not there at all. SSBPL does not guarantee completion of delivery. SSBPL shall in no way be responsible for delays in receiving SMS on the mobile caused due to delivery methods chosen by the Service Provider, rush on the Service Provider's Servers or any other reason whatsoever that may cause such a delay. Investing in Stock Market involves high risks. Investors may lose substantial amount of money. Each user shall be responsible for the risks of their own investment activities and, in no event, shall SSBPL, be liable for any losses or damages.